Free Practice 1 + 2: In the first practice session all Kaufmann driver were on old tyres. 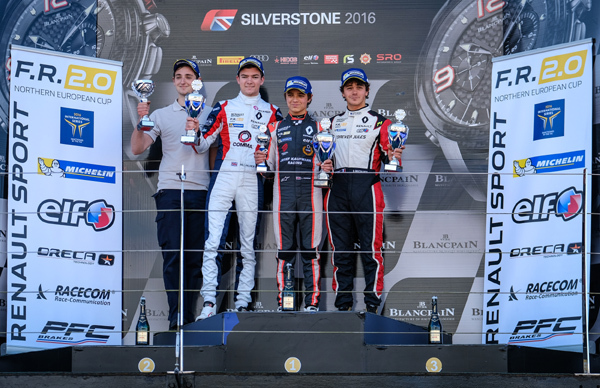 Daruvala P 12, Norris P 13 and Shwartzman P 17. 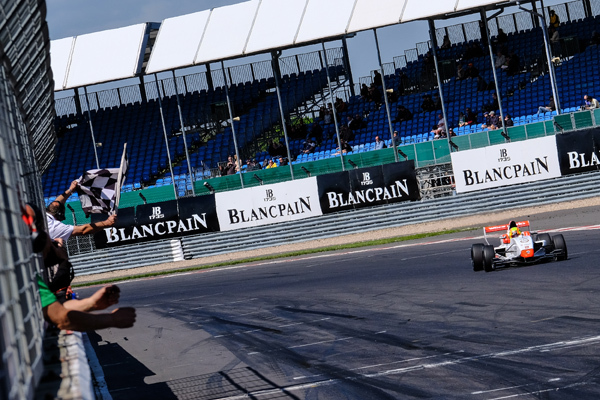 In the second session the Kaufmann drivers had been quick again. Norris finished the session on P 1, Daruvala on P 8 and Shwartzman on P 16. Qualifying 1 + 2: In the first Qualifying Norris was long time on Pole, but after he spun he wasn´t able to improve anymore - P 2 in the end. Daruvala on P 6 and Shwartzman on P 12. In the second Qualifying Norris took Pole with a clean lap. 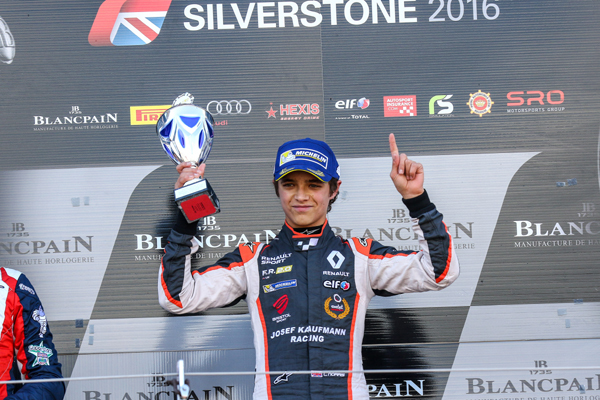 Daruvala improved to P 5 and Shwartzman on P 13. 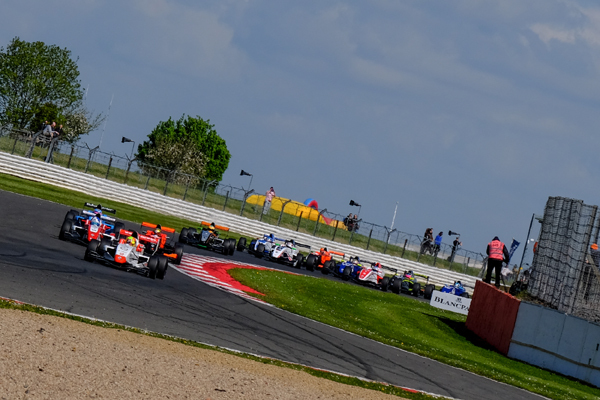 Race 1: In the first race Norris suffered an electronical problem on his gear box in the formation lap and had to retire even before the start. Shwartzman drove a good race with constant lap times and finished on P 11. Daruvala had a poor start and lost 2 positions. After very fast race laps he was able to move up the order again to finish on P 5. Race 2: In the second race Shwartzman had contact in the second lap, because a car missed his brake point and crashed into him. Shwartzman had to retire with a broke rear suspension. Daruvala drove a strong race and after a brilliant move he was able to take P 4. Norris this time had a perfect start and kept his lead. He drove a dominating race and won with 4 seconds lead. Impressive job of Norris once more.